TRENTON, NJ – Environmental advocates with Climate Fast NJ engaged on a 14 days fast to call on New Jersey Governor Phil Murphy to enact a moratorium on pipelines, power plants and all new fossil fuel expansion projects currently proposed in our communities and through our water sources. 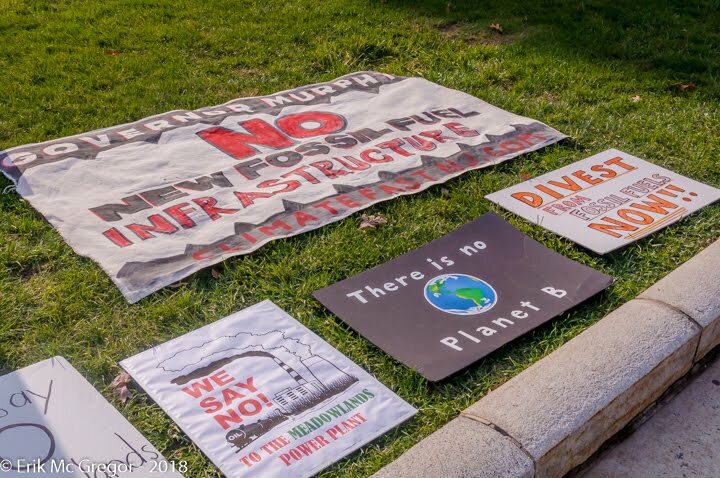 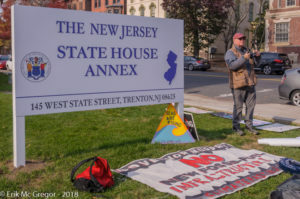 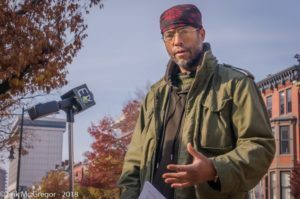 On November 7, 2018, beginning right after the November 6th election, a water-only fast was held outside the offices of Governor Phil Murphy at New Jersey State House in Trenton; in solidarity with front line communities opposing the dozen new dirty energy proposals in New Jersey. 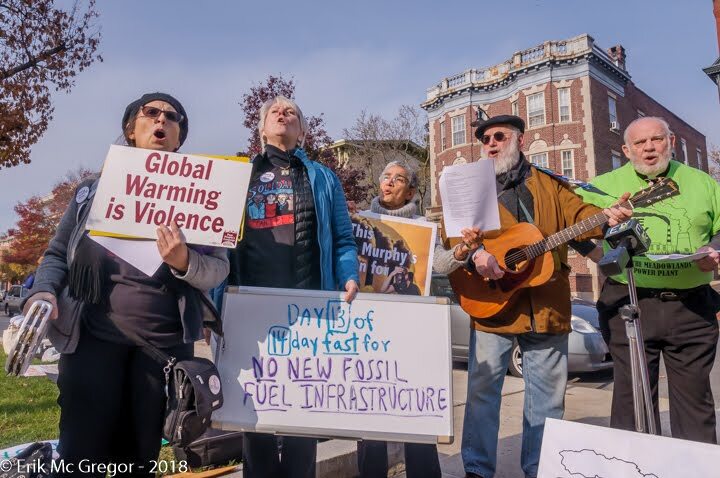 Two of the Fasters, Ted Glick, an advocate for Roseland Against the Compressor Station, and Owl, a member of the Ramapough Lenape Nation, are on the 13th day of a water-only fast. 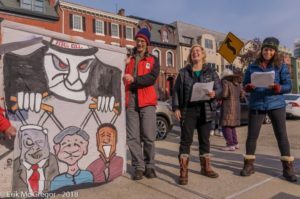 Those taking part in this action, whether for one day or 14 days, whether in Trenton or elsewhere, will be doing so in support of this call for an immediate moratorium. 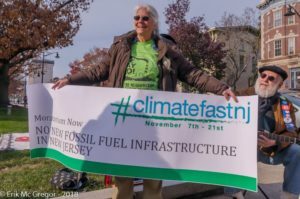 Governor Murphy needs to announce that the state of New Jersey will give leadership to the nation by declaring a moratorium on all new fossil fuel infrastructure. 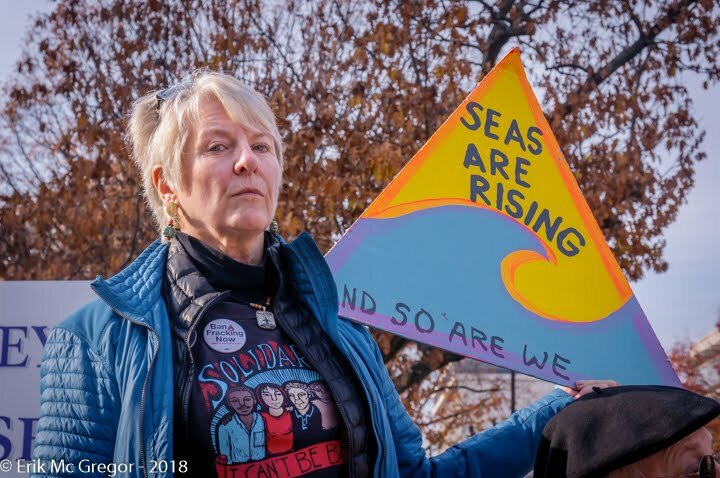 The world, our country and New Jersey are in a climate crisis. 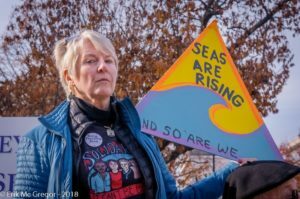 As this month’s report from the Intergovernmental Panel on Climate Change emphasizes, the extreme weather and destructive climate events now unfolding and those already baked into the years ahead are a direct result of the continued extraction and burning of fossil fuels. 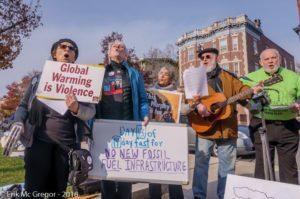 The Climate Fast will end at noon on November 21st with the breaking of bread at the State House Annex. Speakers at the event include Robin Tanner of the Unitarian Summit Baptist Church and Rev. 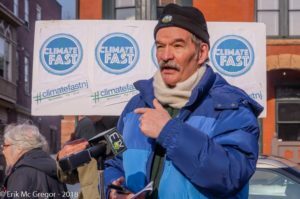 Ronald Tuff of GreenFaith. Climate Fasters have met representatives of the Governor’s Office and are thankful for expressions of concern over the health of the Fasters. 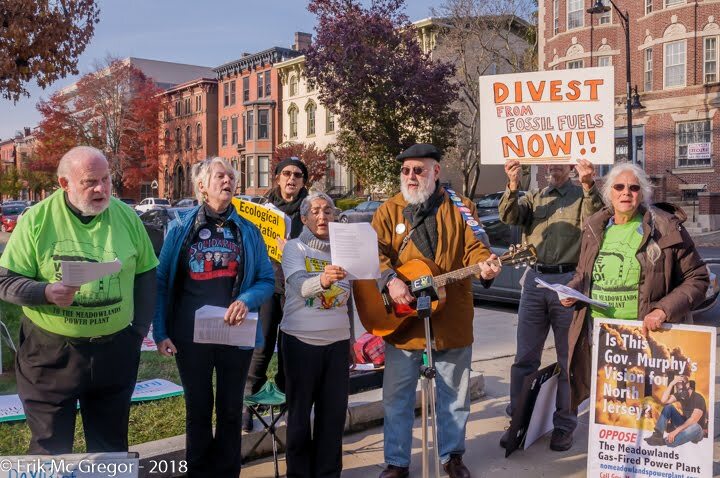 Climate Fasters and supporters will continue a dialogue with government and industry to stop our addiction to fossil fuels and fossil fuel infrastructure harming our children, elderly and ourselves.